Superfacialist Vaishaly’s skincare philosophy is refreshingly simple: “Less is more”: just two simple skincare steps are enough, provided that you are using the right products and technique. Vaishaly believes that you don’t need a lot of different products to achieve beautiful skin, and aims to treat the skin as naturally and gently as possible to create a serious glow. The products in her signature line, which deliver the same skin benefits her clients have always enjoyed via Vaishaly’s own facials, reflect this philosophy, avoiding certain ingredients to allow the skin to breathe and to reduce the risk of irritation. 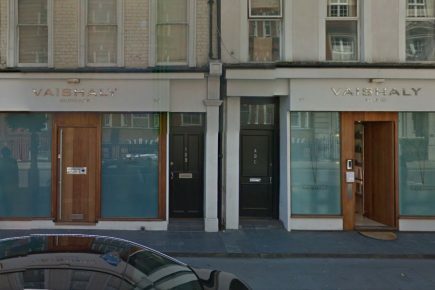 Vaishaly has over 20 years’ experience in the field and, if you miss the chanve to book with her, it is worth booking with any of the girls as she carefully selects and trains a handful of therapists to perform Vaishaly Signature treatments at her London clinic.